There is always a traditional assumption that SET amps are noisier than their solid-state cousins. Often it is a fair trade to get that typical warm and euphonic sound SET amps are also known for. Recently that scenario seems to be fading somewhat with amps from the likes of Feliks Audio aiming for a cleaner more neutral sound. Now the HA-2SE is not something I would call inherently neutral and solid-state but most certainly it is a lot cleaner than what I am used to hearing from a traditional SET amp. It still has a natural and somewhat analog sound in its delivery with a touch of euphony but nothing you could call overtly lush or bottom heavy. The relevant phrase here is ‘balanced and coherent sounding’ when it comes to this amp’s sound signature. It pairs wonderfully well with all but the most bottom-heavy bassy headphones. There is a slightly forgiving harmonic balance, perhaps not as precise as a solid state but in return, you do get a complete lack of listening fatigue with the HA-2SE. Vocals, in particular, are just effortless sounding regardless of the pitch be it visceral Hetfield grunts or ethereal Johanna Kurkela whisperings. Sibilance is not a factor in this amp’s tuning. Turntable lovers will love the sound the HA-2SE delivers. It takes nothing away from that analog experience and if anything, it simply reinforces the classic vinyl presentation. I do strongly suggest getting a very transparent DAC to pair with the HA-2SE. Something detailed sounding like the Chord Qutest will stay out of the way and resist introducing too much coloration from source to amp. The HA-2SE also blows away that noise factor like nothing else. This is a super quiet SET amp without a hint of pop, crackle or anything else you might come to expect from a tube design. That is a massive factor in the dynamic range potential of this amp its ability to pick out an excellent level of micro-detail in just about any track you throw at it. Of course, I would not recommend throwing IEMs at the HA-2SE, you will still get too much gain and power for a quiet background with efficient monitors. However, for headphones, it is beautifully silent and resolutely clear sounding. One aspect I do want to draw your attention to in the sound signature of the HA-2SE is the resistance selector because it does change the tone slightly. I tended to find with the majority of planar headphones between 50-100Ω the HA-2SE’s 50Ω to be quite flat and linear in its delivery. Perhaps the truer sound but not necessarily the most dynamic or musical. If anything, it felt a little disengaged compared to the higher settings. Switching to the 150Ω setting produced a little more of a dynamic character to the HA-2SE presentation with headphones such as the Final D8000 and Hifiman’s Ananda which I had a slight preference for. The low-end had a little more bloom and vocals sounded more engaging and focused. If you are using higher impedance dynamic headphones such as the HD600s (150Ω) then you will definitely hear the impedance mismatch at 50Ω. The energy will get sucked out and everything will sound a bit lifeless. Push it up to 150Ω you get a much truer sound with far better dynamic range and a more balanced sounding instrumental timbre. If you move it up to 300Ω you will get a little more bass bloom and a richer sounding instrumental and vocal timbre which some may actually prefer. Staging is quite rounded and compared to the likes of the Xi Audio Formula S it is a little more intimate sounding. Impedance selection does play a role in how dynamic sounding the HA-2SE will be (not to mention your headphone choice). Depending on your preference you can tune the presentation for a very neutral instrumental positioning or something a bit more holographic with more perceptible depth. That being said instrumental positioning and imaging is great. You get accurate placement and separation as well as a fairly holographic sound. It does lose out a little on absolute width compared to the top tier solid state amps such as the Formula S and its depth is not as gut-wrenching as the similarly priced Violectric V281. 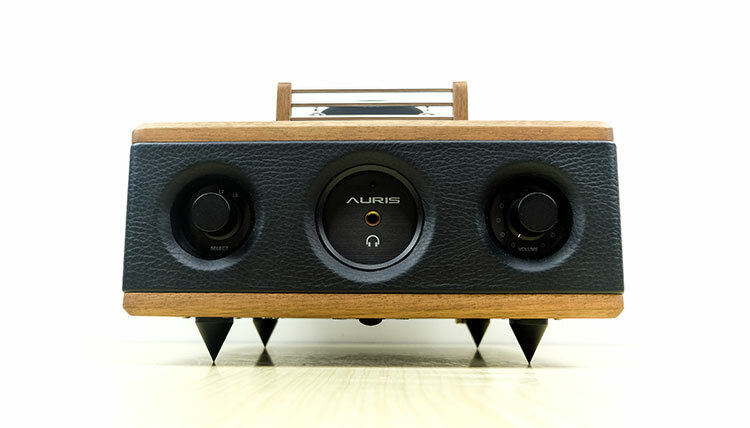 At 1W output and including a resistance selector the Auris HA-2SE actually is quite a versatile tube amp. However, it is by no means the most powerful amp nor the most efficient desktop amp. That’s not a bad thing. This is, after all, a headphone amp and not one classed as being ideal for very sensitive monitors. It also has no balanced setup so those looking for additional power I would advise checking out their mid-tier Nirvana which is a full-balanced design and rated at 6.5W. 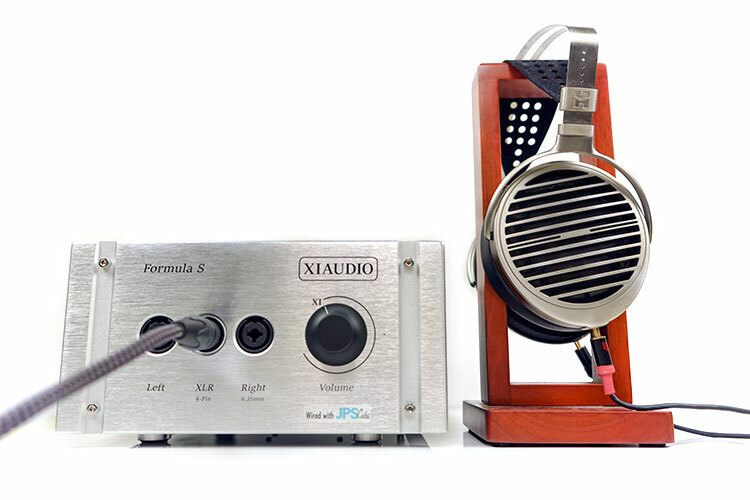 Solid state amps such as the Cayin iHA-6 and Xi Audio’s Formula S are more suitable for very demanding headphones such as the Hifiman HE6 and the Abyss AB-1266 which do need a bit more headroom. For expansive planars such as the Susvara, the timbre pairing is beautiful but you always get a sense the amp could do with a bit more headroom. I can throw the volume all the way up to max but from around 2pm it seems to struggle to get any louder or more dynamic sounding. Mind you I am ok with that because of the stunning synergy between the two. This is a such a sweet, detailed and musical pairing and one I actually prefer over the Studio 6 pairing which is a touch leaner in the lower treble and not quite as punchy in the low-end with the Susvara. The HA-2SE also adds just a hint of wetness to the presentation without wrestling away that superb sense of scale and lighting fast articulation the Susvara is capable off. I do prefer the 150Ω setting with this pairing when using it with modern rock and pop genres just for that additional body. For acoustical or more nuanced instrumental and vocal acapella work I prefer the 50Ω setting for a little less coloration. 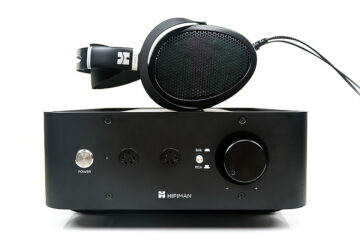 Planars such as the Ananda, also from Hifiman and the Ether (O) from MrSpeakers have no such driving issues with the HA-2SE. The Ananda, in particular, is driven effortlessly with the HA-2SE and sounds excellent also. The Ananda is a largely neutral presentation with a hint of mid-bass warmth and excellent treble extension. The HA-2SE at 50Ω won’t change that perception too much but knock it up to 150Ω and you get a little more note body and sub-bass presence which I quite like. For the Ether O, you only need a smidgen more volume but both are still well below 12 noon on the pot so again, a very easy planar to drive for the HA-2SE. The sound here is a little more rounded, slightly more analog sounding for me and the smoother of the two headphones (Ananda). The HA-2Se delivers a punchier fuller sound than both the Susvara and Ananda when paired with the Ether O. You will hear more lower-mids body and sub-bass presence and a gloriously natural and smooth sounding treble performance. It is not as airy a combo as the Ananda/HA-2SE or as open as the Susvara but it has a more musical and fun sounding signature. The resistance selector also has less of a difference between 50 and 150Ω so either will work fine. 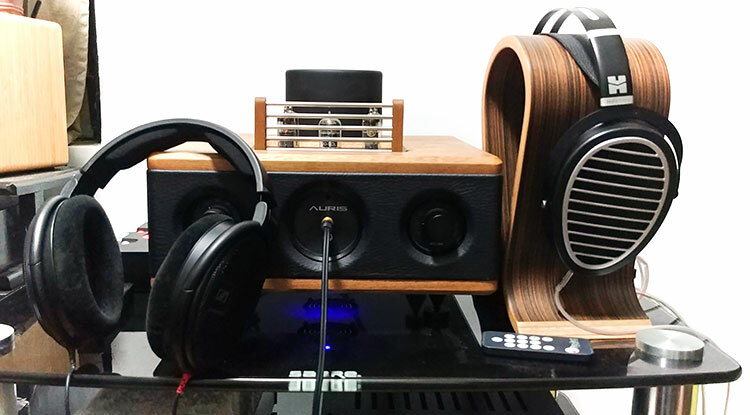 Out of the three planars tested the Ether Open had the best balance between power, tonality and dynamic range. A 150Ω dynamic open-back headphone that has absolutely zero problems being driven by the HA-2SE. You can barely muster 9-10am on the dial so perhaps a little pre-amping form your software or other devices in the chain might help in terms of volume micro-control. The resistance selector has a huge influence on the HD660s presentation also. Dynamic headphones will see a great swing in tonal bias with this switch than planar headphones. With the HD660s the 50Ω will rob it of dynamic range and will sound too flat for my liking. The 150Ω is just perfect. Not surprising given that it is a 150Ω headphone. You can try 300Ω but I found the bass bloom to be a bit too much coloration. Tonally, I thought these two gelled quite well in terms of PRaT. The HD660s sounded punchy, full sounding and not a bit bright or lean in timbre. You never get a sense of any sluggishness or sounding too muddy either. The staging will feel a little more congested than the flagship planars tested, the HA-2SE will still give it a slightly intimate rather than expansive presentation. For all their variations in the form factor, the Studio 6 is also 1W capable SET tube amp with similar performance ratings as the HA-2SE. Where they really differ physically is part of the reason why I love the Studio 6 so much as a reviewer. Both have multiple inputs to the rear, 3 each to be precise but whereas the HA-2SE has one unbalanced output, the Studio 6 has no less than 4. There is no diminution of power also if you load up the Studio 6 with 4 headphones either. It stays strong wither one or 4 which is just fantastic for me to compare headphones quickly and easily without worrying about multiple setups. Mind you, that is a fairly esoteric preference but it is an important one nevertheless. Visually the Studio 6 is clean, minimalistic with a retro aluminum design that complements the warmer smoother wood grain lines of the HA-2SE. The HA-2SE on an aesthetic level is the more attractive of the two in that regard. The Studio 6 is also much bigger and heavier than the HA-2SE. The Studio 6 uses a wider range of slightly more expensive tubes than the HA-2SE. The stock line up includes an Electro Harmonix 6SN7, two Tung-Sol 6V6’s, two Raytheon OB2’s, and a single JJ GZ64. Some of these are much more expensive than the PL95/EL95 combos, particularly matching pairs. I have rolled the Tung-Sols’s with a pair of matched JAN-Philips 6V6GT simply because my Tung Sol plastic pin-guide got broken. They are a touch brighter but more detailed sounding than the stock tubes so a lot of my tonal referencing may reference that. The Studio 6 is the slightly more aggressive sounding presentation of the two, particularly in the absolute low-end and upper mids and lower-treble presentation. Those Jan Philips introduce a little more top-end vibrancy, a little more extension and an odd-harmonic presence which in turn add a little more bite to its instrumental timbre. The HA-2SE has a slightly smoother presentation, a more liquid instrumental timbre with slightly more lower-mids note body. If anything, the Studio 6 is going to sound the brighter and cleaner of the two amps with those Philips tubes. That enhanced treble profile adds more percussive presence whereas the HA-2Se eases off on the treble in comparison. It is a more natural sound for me for most genres and more amenable to a wider range of headphone pairings. The Studio 6 Jan Philips tone is harder edged which may sound more exciting but slightly less forgiving for headphones such as the HE1000 V2 and the Ananda. Our solid-state amp of the year thus far with bucket loads of power, a solid build quality but also a pure single-ended design like the HA-2SE, even with the XLR connects. 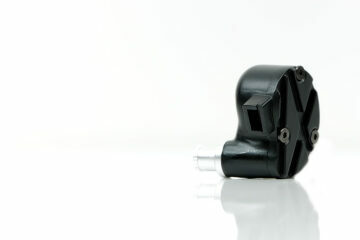 The Formula S dwarfs the 1W output capability of the HA-2SE with over 6W into a 16Ω and just over 2W into a 46Ω load. I feel sure that Auris will point you to the Nirvana as the class competitor for the Formula S given its balanced capability and similar power rating. Perhaps a review in the future comparing these two would be a worthy contender. The Formula S can offer only one source input compared to the three for the HA-2SE and neither can double up as pre-amps. The Formula S does have a wider variety of outputs for headphone cables from XLR, dual mono, and quarter jack. However, bear in mind all will output an unbalanced signal. In terms of headroom and demanding headphones, the Formula S is going to provide a bit more. 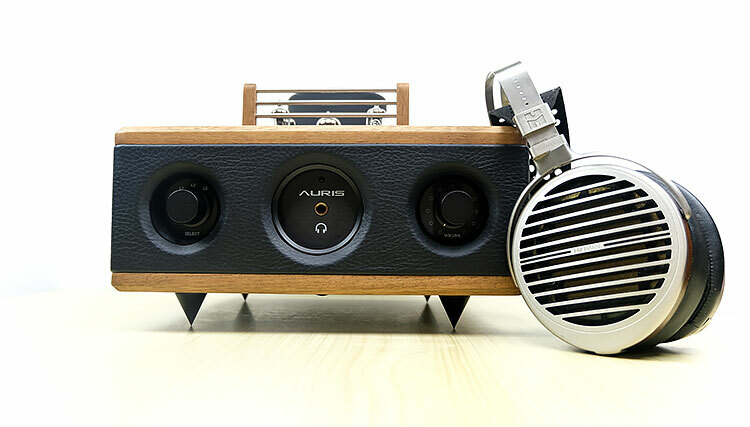 Headphones such as the Abyss, HE6, and Susvara are going to be more suited to the Formula S than the HA-2SE. The HA-2SE 1W output will pretty much over everything else out there including Audeze LCD’s, MrSpeakers Ether, Hifiman’s Ananda and the HE1000 series of headphones. The noise floor on both are excellent which is a testimony to the HA-2SE because you always expect a solid state to be clearly superior but in this case, it is much closer. The HA-2SE is thicker sounding, with more midrange body and a more analog type presentation compared to the Formula S. The Formula S has a cleaner sound with a slightly leaner note but with a sweet-sounding timbre that belies its sold state heritage. The Formula S is the faster-sounding amp of the two with more width and height and a very engaging level of imaging. Both are fairly holographic actually with excellent placement, just that the Formula S casts a bigger stage in which to weave its magic. The V281 is physically the smaller of the two headphone amps but it potentially the more powerful. At the heart, both have excellent topologies befitting a high-end amp. The V281 is a fully discreet Class A amp and the HA-2SE is a Class A single triode tube amp (SET). The difference between the two is all about power. The V281 can deliver a fully balanced or single-ended headphone output of up to 4W into 50Ω (balanced) with stepped attenuation volume control as well as pre-gain and pre-amping output options. It has more raw grunt than the HA-2SE using either balanced or single-ended mode. The V281 is built to take on the likes of the Abyss and HE6 and offer plenty of headroom to the Susvara. Both amps have options for multiple inputs. 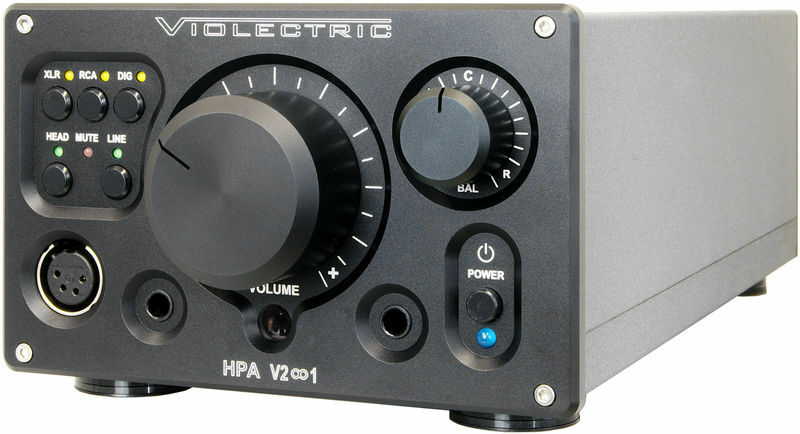 The HA-2SE has more with 3 unbalanced inputs and the V281 has 2 with one balanced. The V281 can connect 2 single-ended headphones at the same time and act as a pre-amp whereas the HA-2SE has no preamp features and a single unbalanced output. Violectric has also provided the option to upgrade to a DAC/Amp capability but I have never really been that impressed with it as a DAC. Note you do have to pay more if you also want a remote with the V281. A remote comes as stock with the HA-2SE. Tonally, the V281 is a much more aggressive sounding amp with a fairly typical solid-state drier and more clinical sound than the HA-2SE. It is not quite as even-sounded from top to bottom with a powerful low-end and a more sparkling treble performance. Explosive is the word I like to use when talking about the V281. Switching to single ended on the V281 takes a little bit of crunch and impact from the balanced version of the presentation. You get a little less dynamic range though it still remains fairly punchy. It is a dynamic sound with bags of depth but not quite as natural sounding as the HA-2SE’s balanced tone. Particularly in the lower treble where with certain headphones such as the Ananda it can sound a little cooler and harder edged. The HA-2SE is the more linear of the two though by no means a flat sound, simply a more controlled and politer low-end performance. It is the wetter of the two but no surprise there give its SET tube design. Those looking for a richer warmer sounding timbre then the HA-2SE will give you that, particularly with voicing which is the smoother and more forgiving of the two. The V281, like the Formula S, casts a fairly deep and holographic soundstage. The HA-2SE is a little more intimate in comparison with a slightly more rounded soundstage. 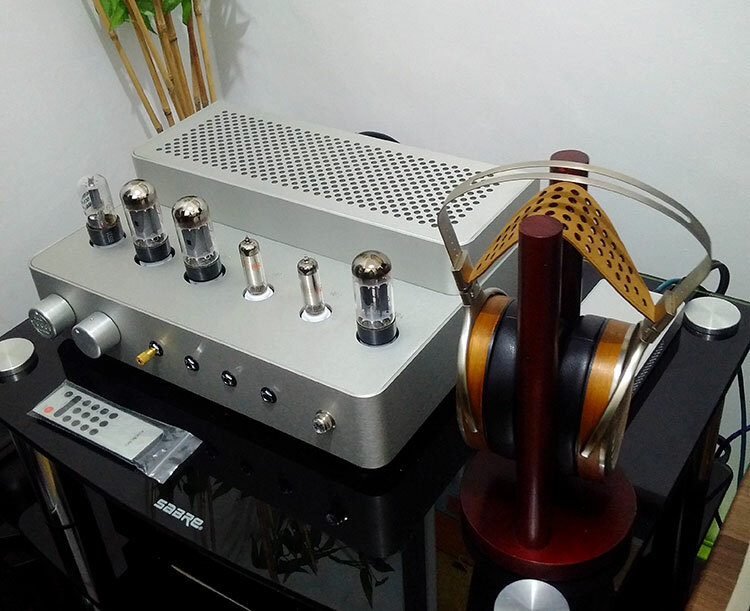 The Auris Audio HA-2SE is a really excellent sounding headphone tube amp. More than that it is an amp that I find myself wanting to use both on a recreational casual listening level as well as the times when I want to take a more studied approach. It has an enticingly quiet, balanced, and analog type sound with just a hint of wetness but nothing painfully slow. It is just so easy to listen. Granted, the Formula S from Xi Audio is possibly the greater amp, it should be, it costs a lot more. However, like car buying, you go with your heart and the HA-2SE has plenty of character in its sound for that. Only the most demanding headphones are better left to the Formula S and V281’s weightier capabilities. It also looks wonderful. Traditional tube amps have always had a certain style to it but nothing like this, nothing quite as art decor in looks as the HA-2SE. We can be a picky shallow lot us audiophiles at times. Yeah, we want great sound but we want the gear to look great also, well most of the time. The HA-2SE checks both of those boxes with commensurate ease.